The Promoter of NE Grand Fitness has hands full of experience in this field and so it will be easy to plan, design and implement the project taken in time to the esteemed customers. NE Grand Fitness is a growing concern and its motto is to satisfy the customer needs within the committed time and to become as pioneer in this field. 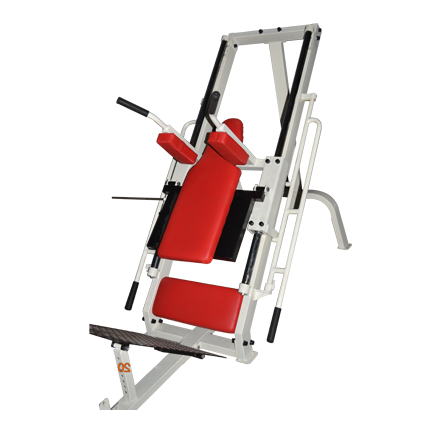 We have main focus on quality of the Gym Equipment, for which several quality majors are considered on all stages of buying. All the products are bought with highly sturdy and durable raw material that makes them long lasting in performance. In addition, we have support of well qualified and experienced quality personnel who helps us maintain the quality in every product, which is essential for satisfying customers successfully. Furthermore, all the items are stringently checked before the final dispatch. We aspire to become India’s premier retailer of Gym equipment for the Home, Corporate and Commercial markets. We will achieve this by continuing to expand our presence in the marketplace and always challenging our capabilities. Our success in this industry since 2012 has come about by delivering the highest quality products to the consumer corporate markets and backing this up with unsurpassed customer service, reliability and after market product service. We believe in …Vision without a task is only a dream. A task without a vision is but drudgery. But vision with a task is a dream fulfilled.